In August Nikopol Ferroalloy Plant (Dniepropetrovsk region) produced 3.7 thousand tons of ferromanganese, up by 23.3%, or by 0.7 thousand tons, MoM. In January-August Ukrainian metal companies exported 17.9 million tons of metal products, up by 2.3%, or by 0.4 million tons, but down by 3.1%, or by $0.3 billion, to $9.3 billion, YoY. In January-September ArcelorMittal Kriviy Rih produced 4147.9 thousand tons of rolled metal, down by 0.7% YoY. In January-September Ukrainian metal companies produced 21.49 million tons of carbon steel, down by 13.5% YoY. 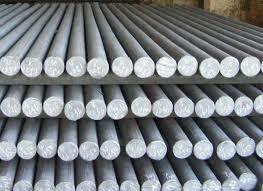 In August Ukraine exported $82.39 million worth of steel pipes, with imports on the level of $6.86 million. In January-September Zaporizhstal produced 2550.4 thousand tons of pig iron, 2933.7 thousand tons of steel and 2513.6 thousand tons of rolled metal, up by 6.2%, 2.1% and 2.9% YoY respectively. In September pig iron output in Ukraine decreased by 3.3%, or by 52 thousand tons, MoM, to 1533 thousand tons. In January-September Azovstal Iron and Steel Works (Mariupol, Donetsk region), a part of the Metinvest group, produced 2.41 million tons of rolled metal, down by 23.3% YoY. Zaporizhstal estimates its investments into construction of a new converter shop on the level of $1.5 billion. Quotas for imports of seamless casing and compressor pipes irrespective of the country of origin or export have been prolonged from October 1, 2014 till March 31, 2015. Alchevsk Iron and Steel Works (Lugansk region) has no plans to start working in October. In July-August Ukrainian metal companies decreased rolled metal supplies to Russia by 27%. In August Ukraine produced 1585 thousand tons of pig iron, down by 29.7%, or by 669 thousand tons, MoM.